The Melbourne Comedy Festival is just around the corner. Are you ready for some LOLs? 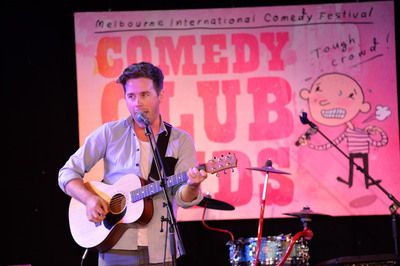 For more than a decade, the festival has hosted the Comedy Club For Kids, offering pint sized punters aged 6-12 plenty of laughs during the Comedy Festival and this year is no different. This year's Comedy Club for Kids sees a selection of performers from proper stand-up (there'll be no knock-knock jokes here, people!) to musical comedy and a couple of circus and clown acts thrown in for good measure, so there's plenty of entertainment to please children and grown-ups alike. 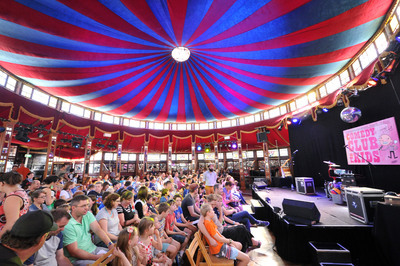 We are offering a double pass to the Comedy Club for Kids, for the 12:30pm performance on Tuesday 4 April. To enter, we are running this comp on Instagram, so pop over to our Instagram page and leave a comment to win.